Prepare to let your hair down for the Smirnoff Experience, which describes itself as a�?Indiaa��s most unfake Electronic Dance Music festivala��. While last year it was held here in Bangalore, this second edition moves to Mumbai, bringing in Australian duo Knife Party and The Bloody Beetroots a�� the electro house project of Italian musician Sir Bob Cornelius Rifo, as headliners. 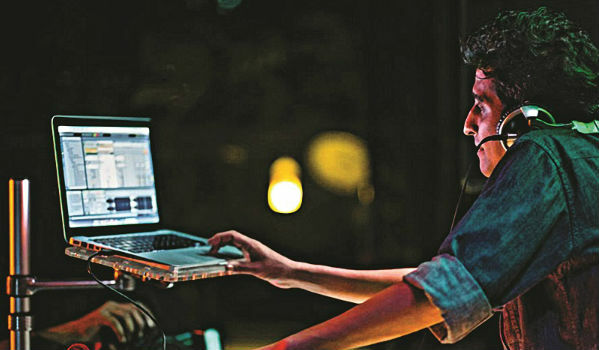 Adding a desi flavour to the line-up is Delhi-based rock electronica outfit Dualist Inquiry, as well as Sound Avtar, Sandune and Kris Correya from Mumbai. a�?Right from the artist line-up to the combination of music, Smirnoff Experience is a little unconventional,a�? says Correya, adding that essentially it is, a�?a big party where the crowd is equally involved, which is the perfect atmosphere to perform in for every artist.a�? Revealing that we can expect bass, funk, vocal and jazz elements in his set, he says hea��s most excited about catching up with his fellow Indian artistes, apart from catching some of the big-name acts. These, of course, include Sir Bob Cornelius Rifo, the force behind the Bloody Beetroots, who will be playing in India for the first time. Summing up his sound as a�?digital organic chaosa��, Rifo says that there will be a�?a lot of new materiala�� in his Smirnoff set, and that hea��s excited about playing at such an unpretentious festival, as well as hoping to have the chance to a�?soak up the culturea�� and explore the city before continuing on his world tour. a�?Ia��m planning to stay all through the festival, tune into the vibe and enjoy all the acts. I am sure it will be sensational,a�? signs off Correya.